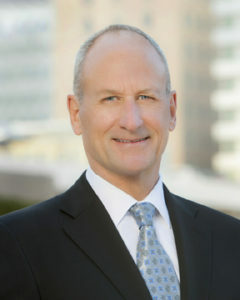 Jeff Cavignac grew up in San Diego and attended Patrick Henry High School. In 1980 he graduated from the University of California at Los Angeles (UCLA) with a Bachelor of Science degree in economics. Cavignac’s introduction to the insurance industry was as a trainee at Lloyds of London. Upon returning to San Diego, he was hired by Industrial Indemnity Company as a casualty (liability) underwriter. During his three years at Industrial Indemnity, Cavignac realized that insurance was the right career choice. He proceeded to attain his Chartered Property and Casualty Underwriter (CPCU) designation. In 1987 the firm was sold to the Lawrence Group. Cavignac continued to work at the firm another five years but found that, too often, he was not on the same page with the new owners. In 1992 he resigned and started Cavignac & Associates. Today Cavignac serves as the Managing Principal of Cavignac & Associates. He also acts as the agency’s Sales Manager and manages his own book of business. In addition to managing risk and negotiating insurance, Cavignac enjoys traveling with his wife, Cindy, riding his bike, exercising and reading. Cavignac is also proud of his three adult-age children, Blake, Preston and Berkeley.